Two separate rampage shootings within five years at Killeen’s Fort Hood Army base have sparked renewed discussion over whether those on military bases in Texas should be able to carry concealed handguns. For decades, soldiers and their families have been able to purchase guns for personal use in retail stores on some bases. Even today, some “base exchanges” sell guns. Soldiers and their families can fire personal firearms at target ranges, participate in competitions and in gun clubs – all located on the nation’s military bases. But a federal directive won't allow them to carry concealed weapons on bases, even though it's legal in the rest of Texas. Now, with two separate rampage shootings within five years of one another at Killeen’s Fort Hood Army base that left a total of 17 people dead, there is renewed discussion over whether soldiers and their family members should be able to carry concealed handguns on military posts in states like Texas. “If they live in the base housing … guns have to be registered,” said Geoffrey Corn, professor at South Texas College of Law in Houston, who served more than 20 years as an Army officer. “The idea of carrying a concealed weapon is really inconsistent with the military culture,” he said. “The military is an organization where leaders routinely issue orders to subordinates that are frequently unpleasant,” Corn said. But Patterson and others, including Houston attorney Charles Cotton, who was involved in writing the state’s concealed weapon law and sits on the National Rifle Association’s board of directors, argue that it’s time to reconsider concealed carry on bases. A letter purportedly penned by a survivor of the most recent Fort Hood shooting, Army First Lt. Patrick Cook, which has gone viral on the internet, was read aloud last week by a supporter of open and concealed carry laws who attended a state Senate Agriculture, Rural Affairs and Homeland Security Committee hearing. In it, Cook wrote that his life was saved by Sgt. First Class Daniel Ferguson, who kept Lopez at bay by barricading a door that wouldn’t lock. “More will die, more will be wounded, more families will be torn apart, needlessly,” Cook wrote. 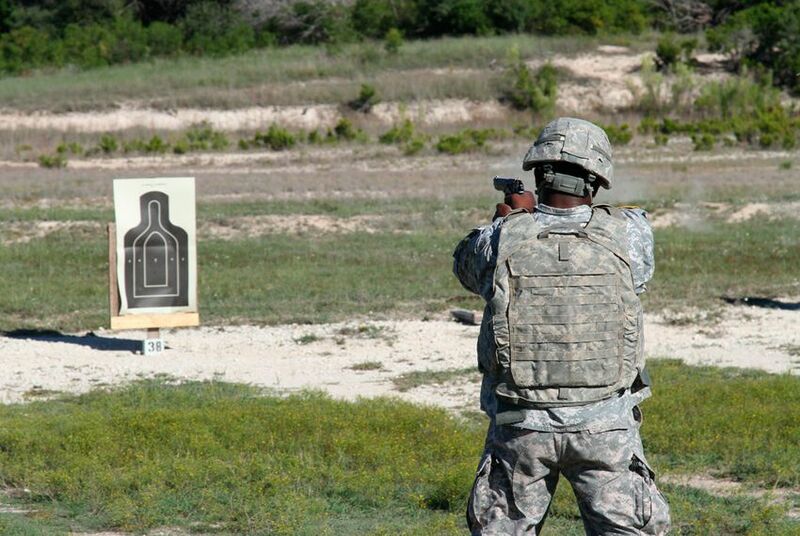 “It happened again, and will happen again, because Fort Hood is a gun-free zone."